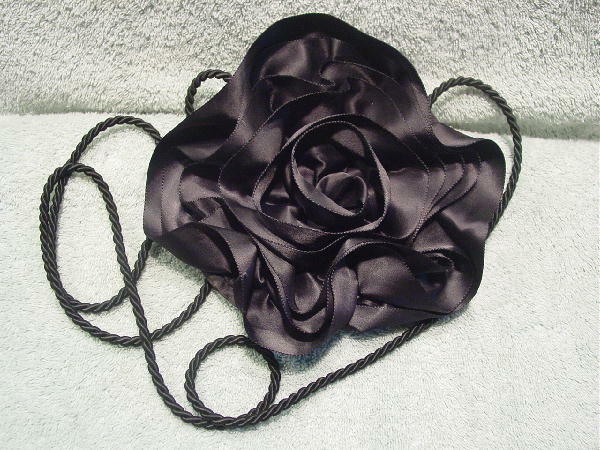 This black synthetic fabric round evening purse has a front in the shape of a large flower. There is a top side to side zipper and a 57" long cord shoulder strap. It's from a French model, who used it while modeling in Italy.